Today, seven out of ten people lack access to electricity in Sub-Saharan Africa, which means they turn toward dirty and toxic kerosene for lighting. On Tuesday, Bloomberg Philanthropies announced a $5 million investment in Little Sun, the creators of a little yellow solar-powered lamp that is more affordable than costly kerosene. The company, cofounded by a Danish artist and an engineer, works with local entrepreneurs to sell its lamps at affordable prices. 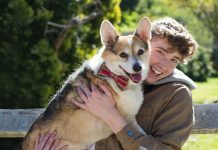 Little Sun operates as a social business, caring about solving social problems than maximizing profits. The low interest loan will allow Little Sun to grow as they provide more environmental and social benefits to schools, local businesses and African families. Currently, households in Africa not connected to the electric grid can spend up to 20% of their total budgets on kerosene. Breathing kerosene toxins is also damaging to health – four hours alone is equal to smoking 40 cigarettes. Additionally, global kerosene use has been estimated to emit up to 200 million tons of CO2 annually, which is the equivalent of emissions from approximately 60 large U.S. coal plants, heightening the need to develop sustainable alternatives. To provide the greatest number of people with access to the benefits of solar-powered light, Little Sun’s initial product is priced at the most affordable end of the spectrum for portable solar products. 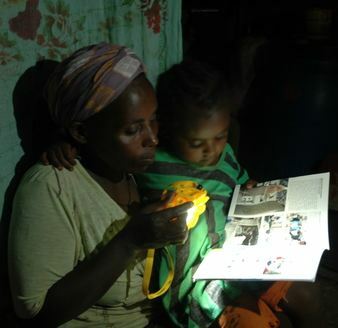 One solar-powered Little Sun light lasts for two to three years before needing a battery replacement, and can save households up to 90% over three years compared to what they would have spent on kerosene. The targeted price point still allows profits to be collected by the local entrepreneurs who sell the lights in their communities. “Too many families are forced to breathe in toxic kerosene fumes because they don’t have access to electricity. Solar-powered lights can improve their health – and at the same time, protect our environment – by keeping pollutants out of the air they breathe,” said the former NY mayor, Michael Bloomberg, whose foundation invested. “With a Little Sun in your hand, you become a power station – charging your lamp in the sun, you also empower yourself,” said Little Sun co-founder and artist Olafur Eliasson. 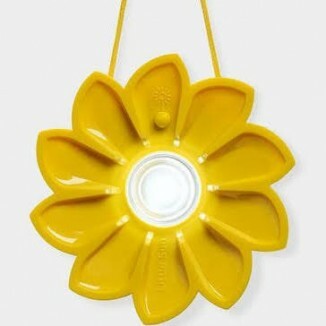 Because of its artsy qualities, and unique ability to hang around the neck, Little Sun is sold at museum shops, like the MoMA Store, and design outlets in the U.S. and Europe, but at a higher price, to earn profits that help keep off-grid sales prices down. The Little Sun project was launched in 2012 at the Tate Modern in London, where the lamp continues to be available for purchase. They are also available for purchase online and in museums.